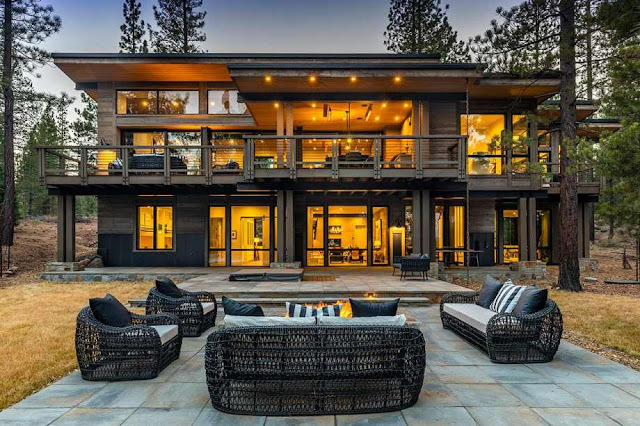 Built in 2018, this luxury cabin on one acre in Truckee's posh Martins Camp is upscale Tahoe living, offered now at a discounted $7.995 million. Here, the 5,922-square-foot home mimics the geometry of its forested setting. 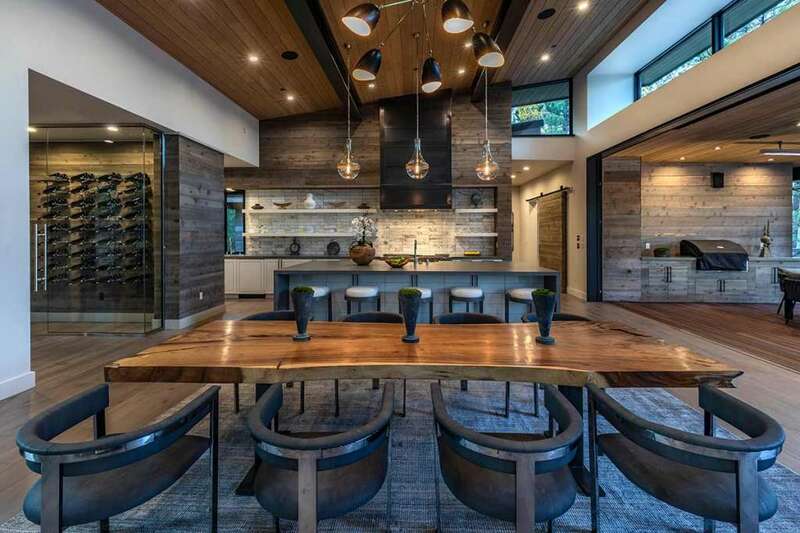 Vertical lines in the wood paneled walls and floor rise to soaring ceilings. The cabin consists of five bedrooms and five and a half baths. The master suite is almost like a separate apartment. 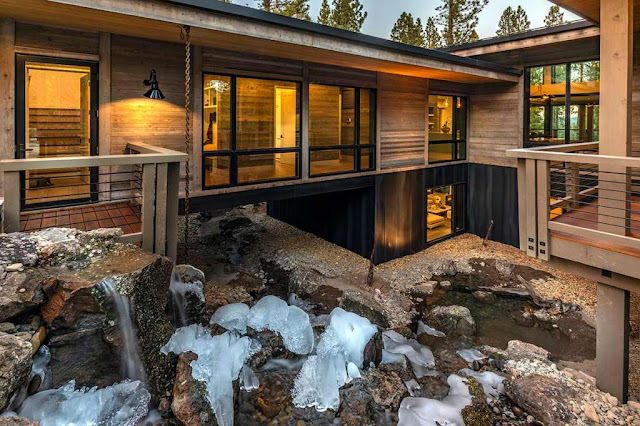 It includes its own fireplace and wide-screen TV, a corner office overlooking the forest, as well as a private deck with firepit. On the lower level is a media room with a fireplace and waterfall views. This room gives onto a patio, hot tub, firepit and bocce ball court. Also on this level are a gym and bar. If only, but imagine the property tax hit every year. Meh. Not for me, thanks. 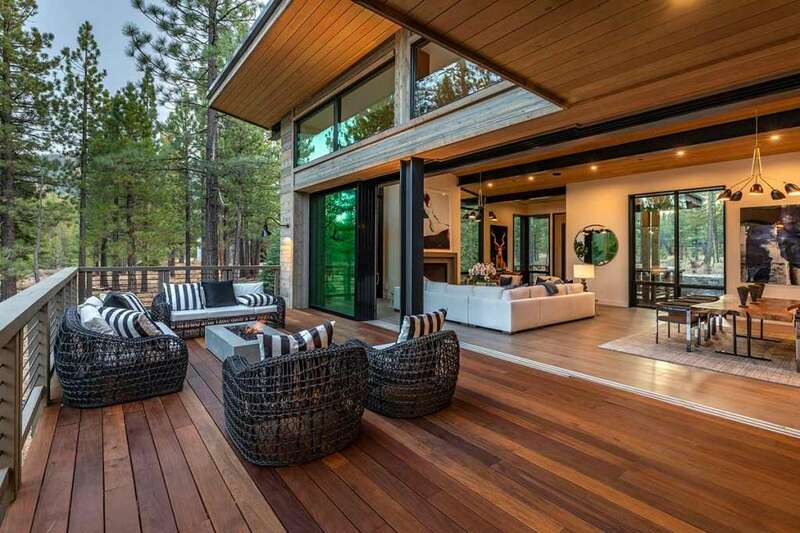 That place is made to impress and entertain. Give me 400 sq. feet out in the middle of nowhere, powered by kerosene lamps, candles, and wood heat. If you can afford to buy that place, the property tax is pocket change. Property Tax and Heating bill will kill ya! Invest in the stock market, CW. And one good fire, and it's gone in about 20 minutes. an acre? lol... if i had 8 mil i'd buy a mil acres and put a 16x24 right in the middle of it.